A LARGE BRONZE PLAQUE BY BORIS SCHATZ. Jerusalem, c. 1920. 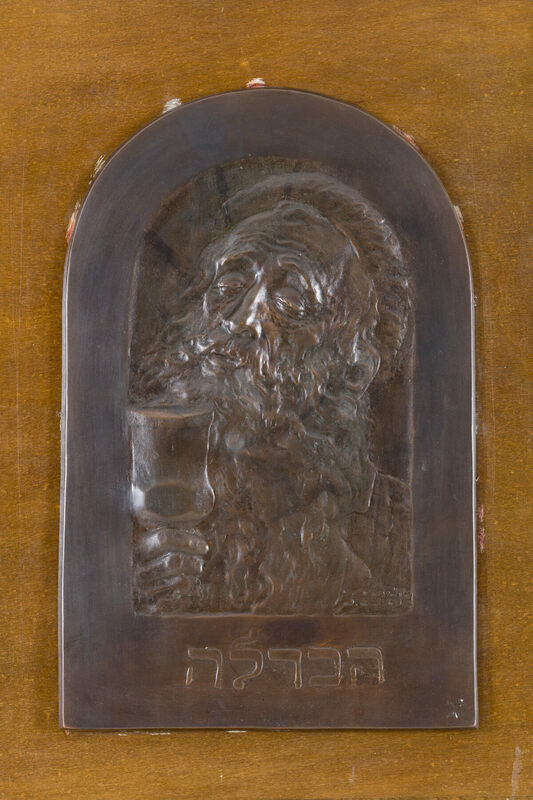 Cast relief of an elderly religious Jewish man blessing the wine. Mounted on stained wood board. Inscribed on verso ‘FROM THE ESTATE OF PROF. SCHATZ” and signed by his son, Bezalel Schatz. Plaque 22” x 14.25” Board 28.25” x 20.25”.